13 days in to the fasting season, the Joy continues.It is the season that strengthens the faith,teaches patience,correct the negatives in character,care more for the less fortunate ,be thankful for the bounties and respect food.After long days thirst even a sip of water tastes sweetest. Me and Lubna are grateful to all the bloggers who have joined in the Joy of Fasting to Feasting (Season II) ,shared their perspectives and special food this Ramadan. Aysha at Life today prepared Haleem,the most nutritious one pot meal.She uses barley and lentils besides the whole wheat to add to the heartiness of the meal.She also suggests substitute for meat - chickpeas and black eyed peas for vegetarian version of haleem. 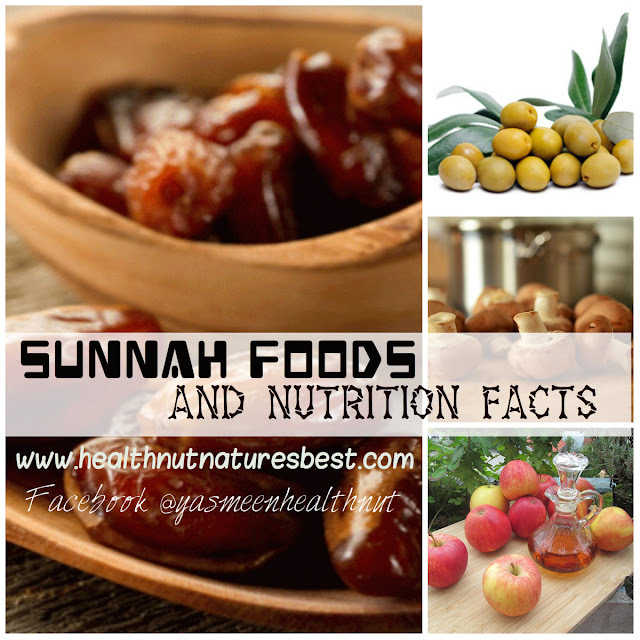 I think it's great how many people in the West now know about fasting in the month of Ramadan. For me personally, Ramadan is a time to be more conscious/aware of our relationship with God and with the people around us. To put in that extra effort towards becoming a better person, and being truly appreciative for everything positive in our life. Showing love, generosity and charity to those in need plays a major role. It's a time to set bitterness, jealousy and hatred aside for good, and start afresh. Sort of like rebooting your internal spiritual computer once a year! And yes, the fasting from sunrise to sunset is supposed to help with that. I say "supposed" because I can see how it can work a bit like meditation - you shut out the material world and focus inwards. Honestly though, that's easier said than done. Especially if you're a working individual in this part of the world. Here, a job is a job, and there's no excuse for you not performing a 100% at work. But I suppose that's the test. If it was easy, there wouldn't be much of a point to the whole thing! The part that many people end up focusing on, however, is the food. It's like when something you took for granted is taken away from you, it's all you can think about! I confess to being guilty of that many a time. But a big part of what makes Ramadan fun is getting together with family and friends every weekend, and cooking the highly-anticipated Iftar (sunset) meal together. **Shabs at Shabs Cuisine delighted us with Chatti Pathal,a rich layered pancakes with sweet egg filling and savory Spring Rolls with meal masala. **Shifa at Sugar N Spice shared with us ,most adored Samosas with spicy meat filling.And a Sweet and spicy french toast for early morning breakfast(suhoor). 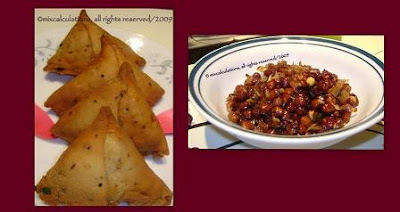 **Shaista at MixCalculations served simple and tasty ,fried black chickpeas and Samosas filled with spicy meat mixture. **Zainab and Meedo at Arabic Bites prepared very appetizing Mahshy Warqenab,grape leaves stuffed with Egyptian Rice,herbs and Arabic gulf spice mix, and creamyRoz bil Halib(Rice pudding) flavored with rose water and vanilla. 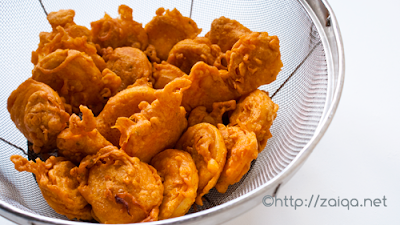 **Mona at Zaiqa served the crispy Ande ki Bhajiye(Egg fritters) for Iftar. For our Iftar its usually fruits and dates with water for Iftar ,with dahi vada ,Mint Lentil Soup or semolina soup .The dinner has to be as nutritious as possible.The Yakhni Pulao ,lamb rice with yogurt and spices,served along with Vegetable stir fry and Cucumber raita(yogurt sauce) is one of my preferred meal for Iftar dinner. The following method is simple one pot method.Although you can cook the meat separately in the pressure cooker and later cook the rice in skillet,which ever works best. Chopped herbs and roasted nuts for Garnish. Mix the cleaned lamb with the all the yogurt,salt and spices and allow to marinate for an hour. Meanwhile fry the onion in oil.Use a thick bottom skillet or a pressure cooker,heat oil and saute onions on medium heat until lightly brown and crisp.Transfer the fried onions on to a kitchen towel.Mix half in the lamb and reserve rest for garnish. Wash the rice and allow to soak for 15 minutes. Cook the marinated lamb with onions in pressure cooker for 15-20 minutes or 45-50 minutes in the skillet until cooked through.Uncover and add 2 cups of water in the lamb mixture and bring to a boil.Drain all the water form rice and add to the simmering lamb mixture,cover and cook for about 5-10 minutes in pressure cooker or 20-25 minutes in the skillet until rice is tender.Let sit for 15 minutes before serving.Garnish with fresh herbs or nuts and the reserved fried onions.The meal is incomplete without vegetables ,serve any simple vegetable stir fry on side with some cooling cucumber raita(yogurt). Lubna had to take an unexpected blogging break due to a family emergency.If you plan to make a post about Ramadan and share the special food with us,mail me the link to the post at YasmeenHealthnut@gmail.com and a copy to Kitchen.Flavours@gmail.com..
Catch the latest updates at the this page. 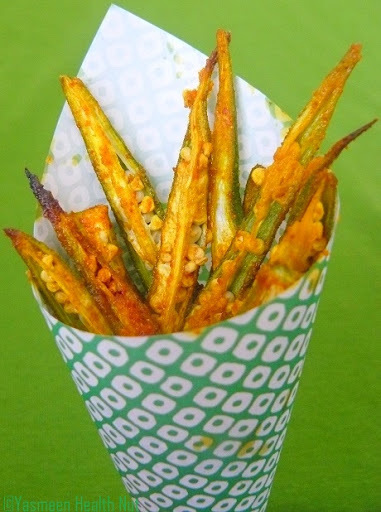 Yasmeen these are some really nice recipes. All the dishes looks so doos, and that pulao is just drool drool delicous. 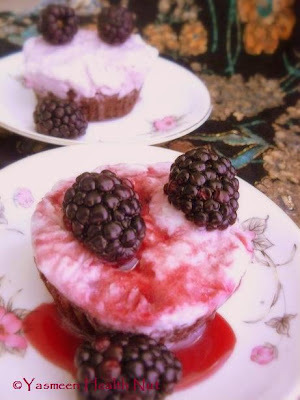 Wow thats wonderful recipes and roundup... The rice is really making me drool. What great dishes! That pulao looks so tasty! Hi! I have been following your blog for a long while now, and I have learned many things from reading your blog. As a token of appreciation, I have listed your blog as “One Lovely Blog”. When it is convenient, you can check it out here: http://singinghorse.vox.com. Thank you for everything! Lovely roundup and I love that pulao. Did you know that we also use the word yakni, only pronounced yahni, and is any food with tomato sauce. 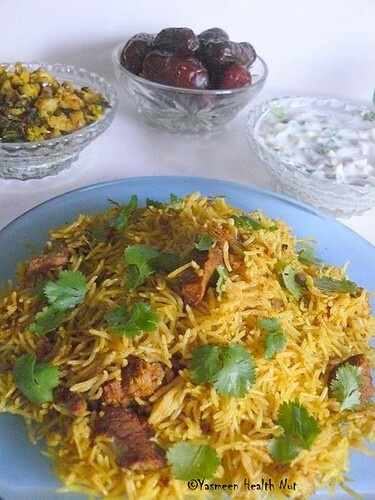 Yakhni pulao looks delish...will giv it a try,i lov lambs than chicken.. 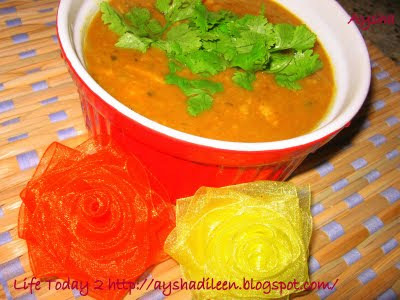 Delicious ramadan spread yasmeen.. do pick ur award from my blog! I love the pulao looks so temptimg and rice perfectly done. Most of these are totally new to me...looks delicious. Such delicious food. I love the celebration of culture! 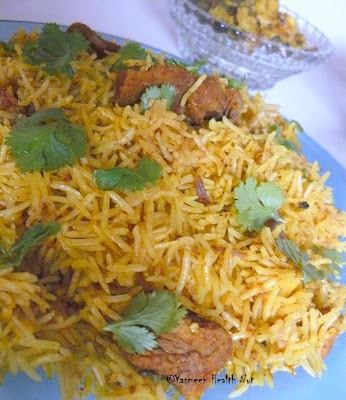 Nice post,Love that briyani rice !! I liked this post very much :)! I wish you many more joys during this Ramadan. Wonderful way to celebrate Ramadan! Oh thks for featuring my recipe AND my thoughts on Ramadan, Yas! Love yakhni pulao .. I consider it a party dish, and have been looking around for a good recipe for it for a long time ... so thks for sharing :) Hope Ramadan is treating you well .. isn't it just flying by this year? !